The days of 100-plus degree temperatures appear to be behind us, and we all seem to be enjoying the fall and dreaming of winter. Here in southern Arizona, we don’t have to hassle with heavy snow and regular freezing temperatures like others do in many parts of the country, but those hot summers don’t protect us, or our animals, from chilly desert nights. As temperatures drop, we should consider the comfort and well-being of our horses. Wild and domestic horses might look the same, but they have entirely different needs. In nature, wild horses will find adequate shelter, generate warmth by herding together, forage for appropriate food, and seek out water to drink. Domesticated horses are wholly dependent upon their owners to supply these and other necessities. Start the winter with your horse in his or her in optimal body condition. Horses that are too fat or too thin will be prone to more problems than horses in their best shape. 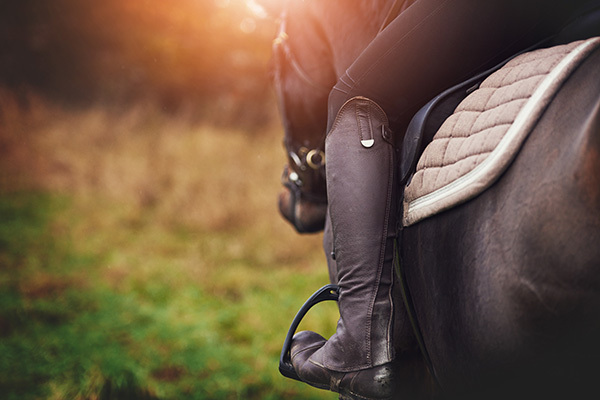 Throughout the winter, try to keep your horse in good shape by continuing to exercise them regularly, as you would any other time of the year. If your horse gets sweaty after exercise, fluff up their hair to allow air to reach the skin. Generally, healthy horses don’t have problems with cold, wind, or precipitation alone, but when all three combine, they’ll fare much better with adequate shelter. The start of winter is a great time to clean, inspect, and repair your horse’s shelter. Seal off sources of cold drafts. Clean out cobwebs. Repair loose nails and boards. Add bedding if you want a bit more warmth. As you perform this “housekeeping” on your horse’s shelter, take time to consider the structure’s shape and how your horse will be to move about it. 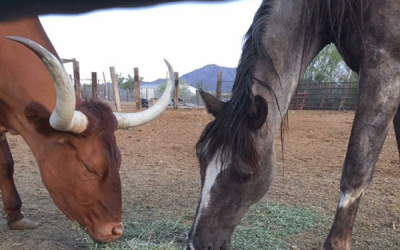 A covering with two solid sides is fine for shelter in Tucson’s coldest winters, as long as the horse can get on either side of the walls — that way, they can always take a short break in the wind. Many horses also prefer to step outside their shelter during the coldest days and warm themselves under the sun, so arrange your pen to allow them to move in and out as they wish. 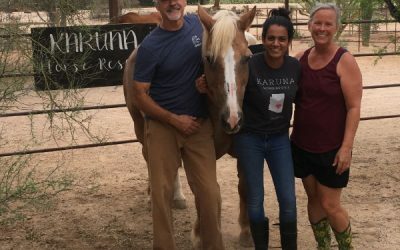 When at appointments this time of year, owners often ask, “Should I blanket my horse?” The truth is that most horses in southern Arizona don’t need to be blanketed during the winter, but there are a few exceptions. Horses that need to have energy directed to efforts other than generating warmth may benefit from blanketing on the coldest days. Examples would be a foal, or a sick, a thin, or a very old horse. Horses that are body clipped will also benefit from blanketing on cold days. If you do choose to blanket, make sure that the blanket is “water-proof,” not just “water resistant,” to keep your horse dry in a cold rain. A horse’s blanket should be clean and fit well, and you should only blanket a completely dry horse. If you blanket your horse a lot at the beginning of winter, plan on doing so all winter, as blanketing affects the horse’s natural ability to grow an adequate winter coat. You don’t need to make significant changes in nutrition to help your horse through winter. If your horse doesn’t need to gain or lose weight, it’s best to keep the feed, quantity, and feeding schedule the same as it was before winter. A common winterizing myth is that grain is a “hot” food and will make their horse warmer. Grain doesn’t make your horse warm — heat is generated from the breakdown of fiber (hay). Grains are digested more quickly than fiber, which actually results in more energy, but less heat, than a hay meal. Adequate water consumption is essential in our desert environment. That doesn’t change in the winter. It’s critical that horses have access to clean, unfrozen water at all times. Decreased water consumption is the number one cause of winter colic here in southern Arizona. Metal buckets can cause the water to get much colder and freeze more easily than plastic buckets, and insulated buckets or bucket heaters will help keep temperatures above freezing. You might consider moving water containers into a sunny area, as this decreases the chance of ice formation and keeps water at a more palatable temperature. On the coldest nights, you can add salt to your horse’s food to encourage more water consumption. A bucket of warm molasses water or a warm sloppy bran mash is also a useful way to get more water into your horse. In most cases, desert “winterizing” is just doing what you have been doing the rest of the year. 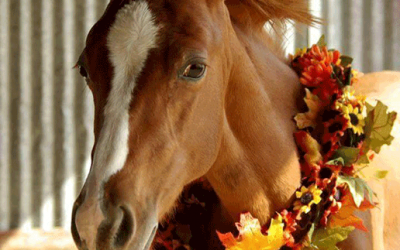 Feed, water, and exercise your horse, and always give them lots of love. Instead of fearing the work that goes into winterizing horse, you should take advantage of the cooler temperatures and go for a nice long ride, and then make some smart decisions based on the realities of winterizing, not the myths. See you out on the trails!